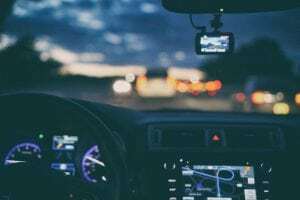 Home » News » What Should I Do After an Uber Car Accident? What Should I Do After an Uber Car Accident? For passengers, it’s important to know what to do if you are ever involved in an Uber car accident. What recourse do you have if it should happen? It’s something few think of when they pull their smartphone out on Saturday night to hail a driver. Within a matter of minutes, that driver appears, greetings are exchanged, and you and your party enter the car, and head home. It’s that easy—most of the time. Over the last few years, the rapid growth of rideshare services like Uber or Lyft has been well received by consumers because they offer more affordable transportation than most cab companies can or do. Uber and Lyft work so well because, on a very basic level, it only takes an app, easily downloaded to your smartphone, that allows a nearby driver to come to pick you up. This is very good news for riders and, in a busy city, it presents a very good opportunity for Uber or Lyft drivers to earn extra income. Yet rideshare services are not the same as taxicab companies. Though rideshare services offer nearly the same service as taxis, you should be aware that the differences in business models are significant. One area of significance is insurance coverage. A rideshare service insurance coverage is not the same as a taxicab company’s coverage. First, your Uber or Lyft driver must have insurance coverage. The rideshare service companies have liability policies in place, too. In fact, Uber and Lyft drivers, in addition to their own personal liability insurance, are covered by the company’s $1 million per car policy. Depending on the city and state, taxicabs most likely have three sets of insurance. For example, a $100,000 total liability, $50,000 property damage, and $50,000 personal injury insurance. Taxicab company drivers are employees covered by company insurance. As a passenger being transported by a rideshare service such as Uber or Lyft, be prepared for every possible outcome–including a car crash. Knowing your rights and what steps you should follow after a car accident is crucial. If you’re involved in a rideshare service car accident that results in a personal injury, if you have the mental and physical capacity to do so, you should take photos, obtain driver and insurance information from all parties, get contact information from any witnesses, and if the injury is serious enough, after your release from medical care, contact a personal injury lawyer to file a claim. What Can I Be Compensated? You are entitled to any compensation as a passenger. If the car you are in gets hit by another vehicle or your driver hits another vehicle, you are equally entitled to compensation. In the former scenario, available insurance coverage includes the at-fault driver’s insurance and liability limits, personal injury policy, and/or uninsured motorist coverage of up to $1 million. If you were a passenger in a ridesharing vehicle that caused a car accident, on the other hand, you can benefit from insurance coverage that has a liability limit of $1 million. While ridesharing services are relatively new their popularity is due in large part to their ease of use and relatively inexpensive cost. However, there are many insurance issues involved with a claim involving an Uber driver in the event of a crash. As with any car accident, whether it’s during a rideshare service or with another driver, the general rule is that the more serious the injury the more likely you should speak with a personal injury lawyer to handle the insurance claim.